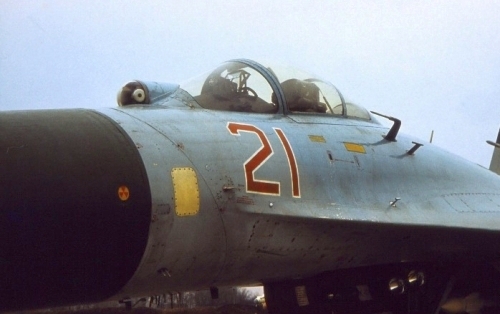 The Soviet 24th Tactical Air Army's 831st Fighter Air Regiment used the MiG-21SM Fishbed-J type until 1985. 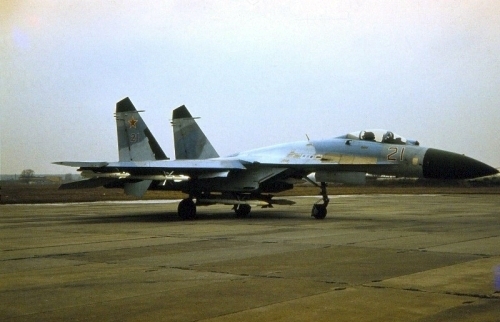 They received training for the long-range Su-27 Flanker at Lipetsk. 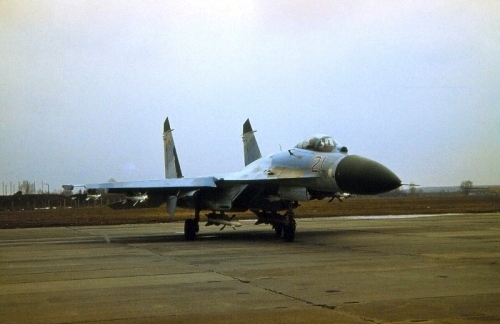 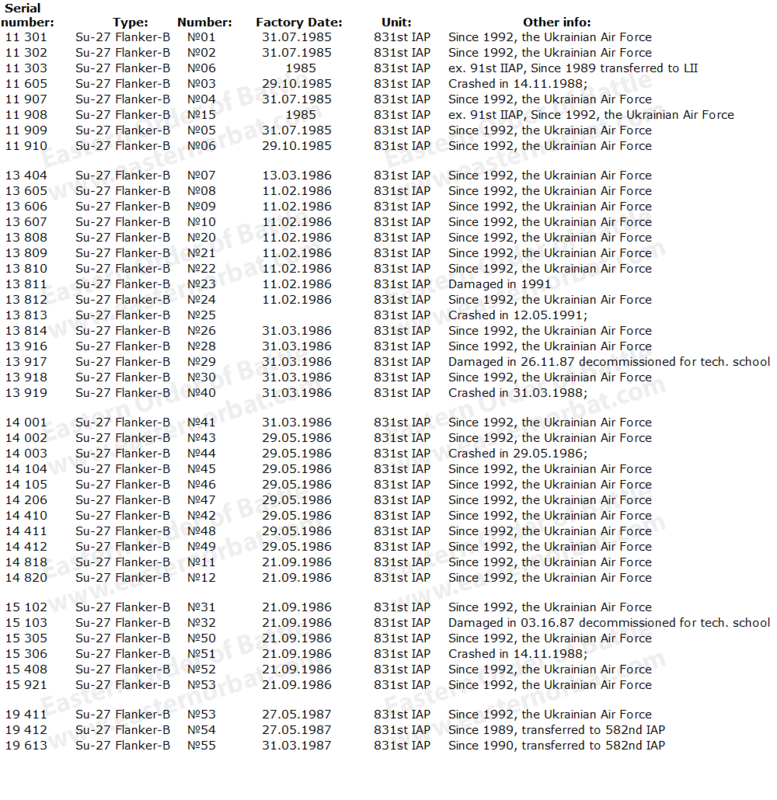 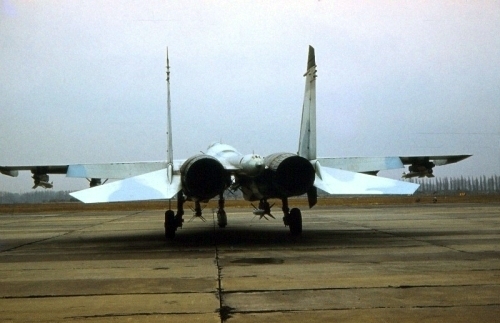 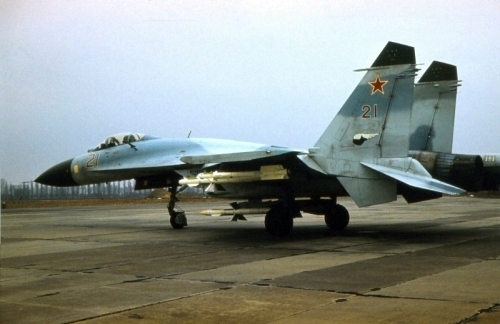 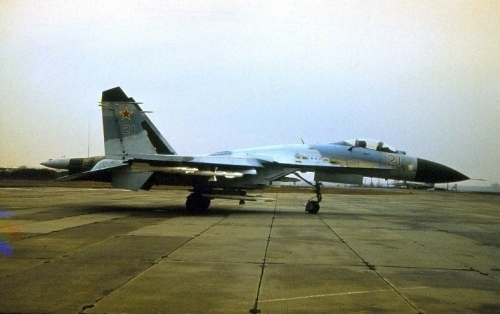 Between 1985 and 1986 they received 40 early Su-27 Flanker-Bs, 12 per squadrons and 4 machines for the command squad. 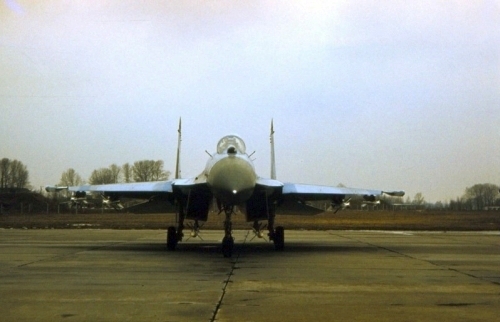 The losses were replaced by three additional machines in 1987. 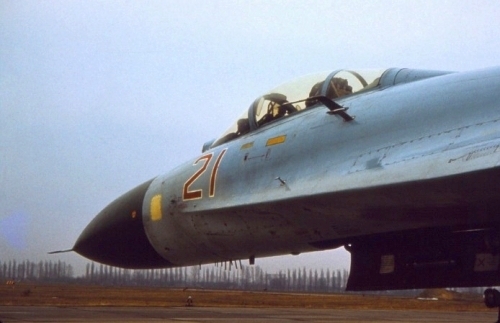 A lot of the regiment's Su-27UB Flanker-C training machines were crashed.